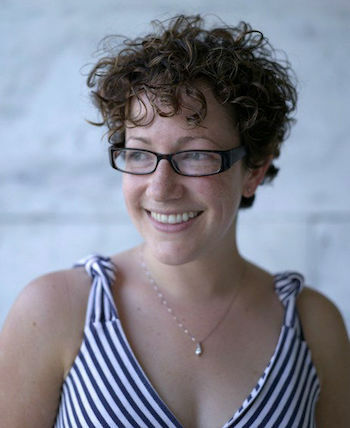 Nicole Perlman received her Film and Dramatic Writing degree from NYU’s Tisch School of the Arts in 2003. Since then she has gone on to win the Tribeca Film Festival’s Sloan Grant for Science in Film for her screenplay Challenger, which also placed on the 2006 Black List. The same year she was named one of Variety Magazine‘s Top Ten Writers to Watch, and more recently was listed in The Playlist‘s Ten Screenwriters on the Rise in 2013. Nicole has written for Fox 2000, Universal Studios, National Geographic Films, Disney Studios, Cirque Du Soleil Films, and 20th Century Fox. She was a member of the Marvel Writers Program from 2009 to 2011 where she first began developing Guardians of the Galaxy. She is currently adapting the upcoming YA novel The Fire Sermon for Dreamworks, as well as developing the Matthew Swift fantasy book series for Skydance Television. What was your last job before becoming a full-time screenwriter? What is (one of your) your favorite films? Contact is definitely a personal favorite — both for the subject matter explored as well as the multi-faceted portrayal of a female scientist. What is the most unique thing about your writing process? I’d say the most unique part of my process is my tendency to color-code producer notes. I code them by most difficult to execute (red) to mildly challenging (yellow) to easy fixes (green.) Then I assign a certain number of notes per day to myself — maybe just two reds a day, versus ten to fifteen greens a day. It really helps me manage the workload. Best memory from last year’s AFF? Sitting on a panel with Bill Broyles and Jim Hart (the writers of two of my favorite films: Apollo 13 and Contact) was a bit of a dream come true. I’ve never learned so much from a panel where I was one of the speakers! Favorite thing about Austin, Texas? Everyone I met was exceptionally friendly and truly interested in taking the time to talk and form a genuine connection. What would be your dream screenwriting panel to attend? I would love to attend a panel that consisted of established comic book writers who are also accomplished television writers/screenwriters — Brian Vaughn, J. Michael Straczynski, etc. I would enjoy hearing them discuss how their dual crafts cross-pollinate and/or clash with the other. Join Nicole Perlman and numerous other great panelists at the 22nd Annual Austin Film Festival and Conference. Purchase badges here.